Read here about a tensegrity researcher in the field of architecture. 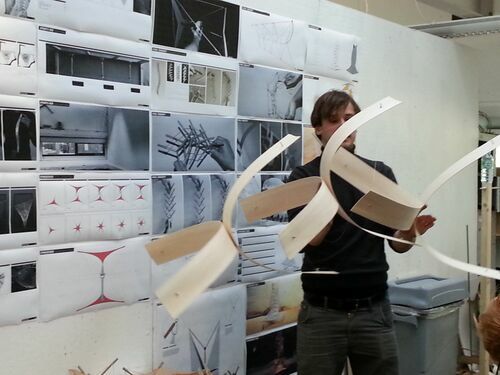 Lukas Kreze is an architectural student. His student project involved tensegrity structures. 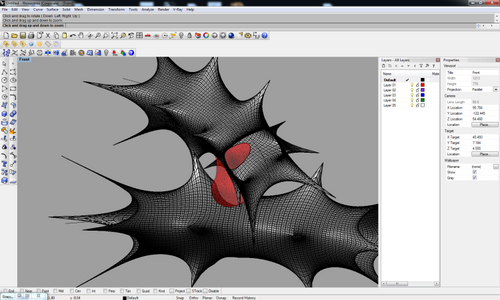 Kreze Tensegrity Bridge in Grasshopper. 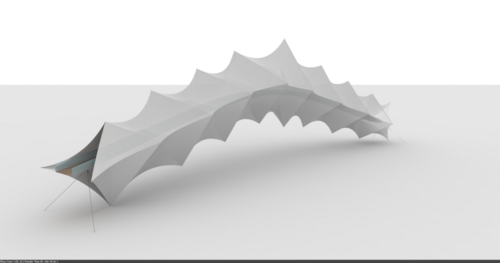 Kreze tensegrity bridge rendered with membrane. Kreze tensegrity experiment with nucleated, curved struts. For more on Grasshopper, see CAD. This page was last edited on 25 November 2018, at 14:19.